One hundred years ago, Obe's family owned all the land surrounding his house in Pennsylvania. Now, it's a small house with a couple of acres, including a creek, and it's being surrounded by new housing developments. There's garbage from the workers and new residents, and Obe visits the creek every day to clean it up. His family doesn't really understand this - it's not their problem, right? His former best friend, Tommy, might understand it, but now he pretends not to; instead he calls Obe a "hippie" and runs around with kids from the new houses. So Obe is pretty lonely when he encounters a brand-new animal, like nothing he's seen before. And it turns out that the animal only eats plastic. This is a thought-provoking, unique story, and not just for its environmental slant. Obe's quest to be himself without critique from his former best friend, all the builders on "his" land, and even his father is a compelling coming-of-age story for contemporary America. The environmental advocacy is strong, including facts announced over the school loudspeaker, as well as a pointed distinction between Obe's commitment to taking local action and his father's apathy about pollution. Readers come away feeling like action is worth the effort, even though the problems are enormous. Obe's genuine interest in environmental science and biology is likely to inspire readers who are like-minded, as well as those who hadn't thought much about those fields before. There's a lot about this book that's unusual for this age group, and not just an imaginary, plastic-eating animal that's shown as a realistic plot driver. Obe cries for logical reasons, which is not often seen in middle school boys in literature. His long-term friendship ends with a sucker punch and a turf treaty that Obe never tells anyone else about. He defends his friend Annie, after Tommy kisses her without her permission because of a bet. Peers and parents are shown to wonder what is the big deal about "just a kiss," and Annie is left feeling angry. This sort of incident is sadly realistic for this age group and rarely depicted in middle grade fiction. Highly specific details show Obe choosing sides - making decisions about the kind of person he wants to be, even as he feels pressure from various forces to make different choices. This is a memorable book rich with discussion potential. "People are really weird. They just think you should be like them, pretty much. Dad thought I should be like him. Tommy thought I should be like him. I just wanted to be me. 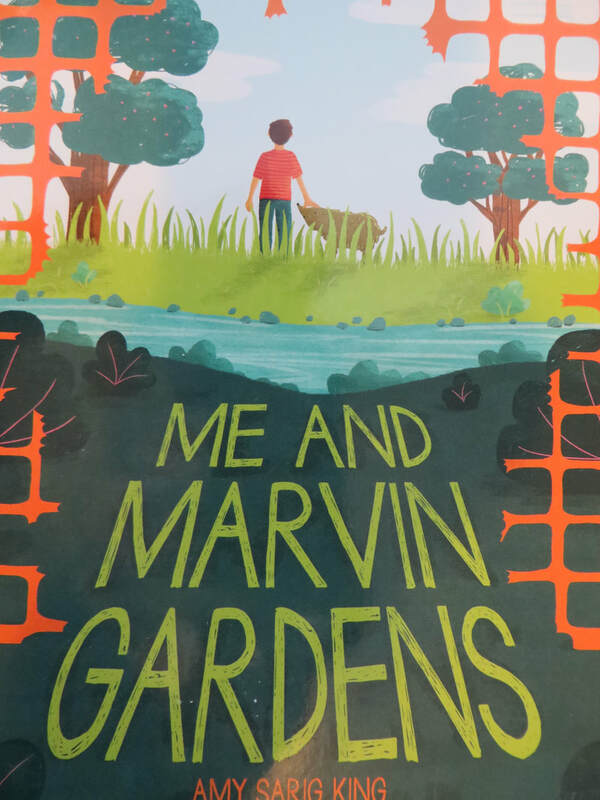 And I wanted to save Marvin Gardens before Tommy's boys trapped him, or worse."